A hiker found the bodies of two people inside a plane that crashed Friday in a rugged, mountainous area near Emigrant Gap, the Placer County Sheriff's Department said. The plane was registered to Monterey Bay Aviation in Watsonville. A representative from Monterey Bay Aviation said he'd rented the plane to two people and was stunned to hear of the crash. Federal Aviation Administration spokesman Ian Gregor said the agency believes the single-engine Piper Cherokee Arrow left from Auburn. The FAA doesn't know the pilot's destination, Gregor said. The identities of the pilot and passenger weren't immediately available. The plane was registered to Monterey Bay Aviation in Watsonville. KSBW in Salinas confirmed the plane originally took off from the airport in Watsonville. The identities of the pilot and passenger weren't immediately available. 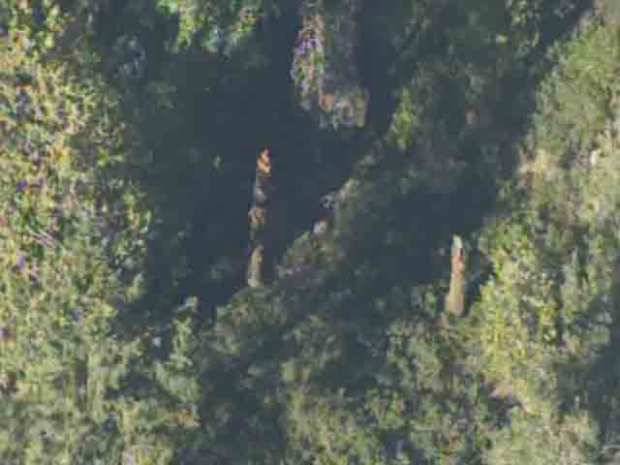 The hiker spotted the plane wreckage in an area off Texas Hill Road, a half-mile north of the east fork of the American River and about 40 miles northeast of Auburn. The FAA and National Transportation Safety Board will be at the crash site Saturday, Gregor said. KCRA and KSBW contribute to this report.